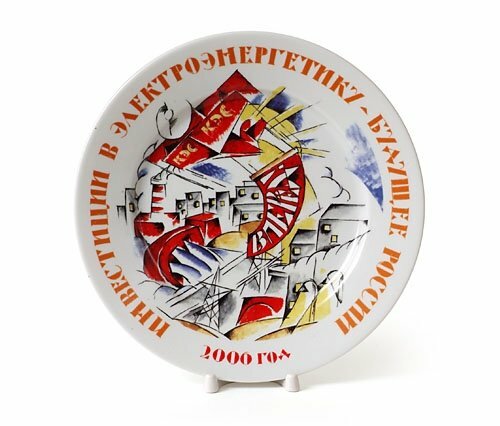 Created in 1901 but not decorated until 1921, after the Russian revolution, the above plate is on display in the 20th century rooms in the British Museum. 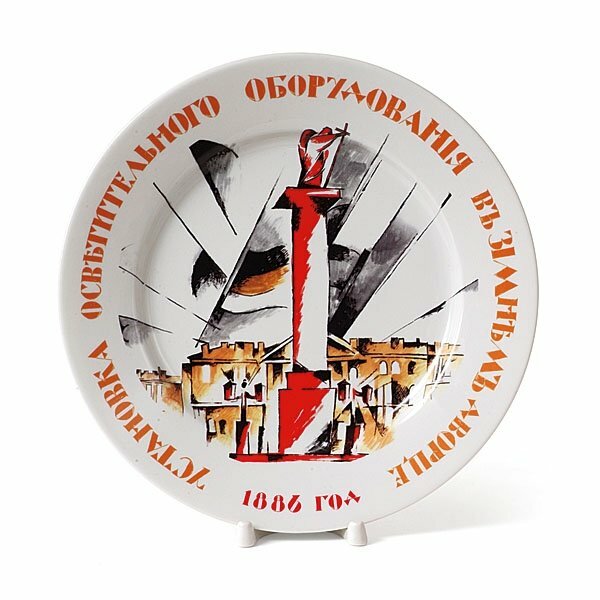 Depicting a young worker marching towards a red (state-owned) factory and stamping over cyrillic characters spelling out the word Kapital (meaning capitalism), the plate depicts a reinvented Russia, marching towards a brighter (communist) future. 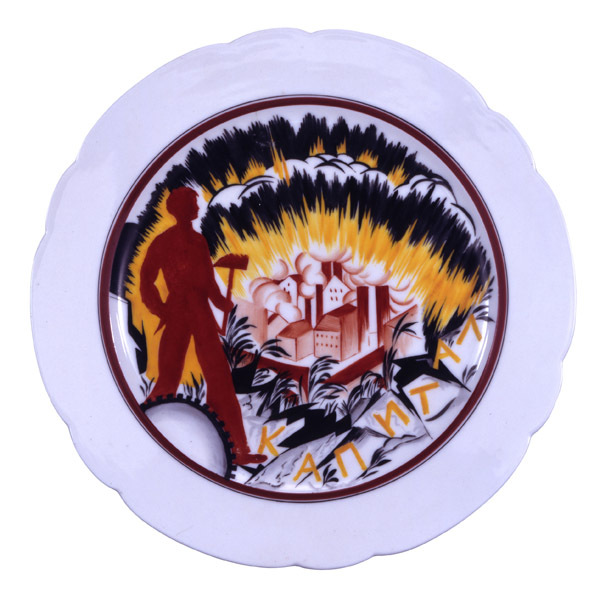 When visiting the Museum in 2004, Vice President of Moscow's Integrated Energy Systems (IES) Mikhail Matytsin was struck by this and other propagandist porcelain in the British Museum's collection. 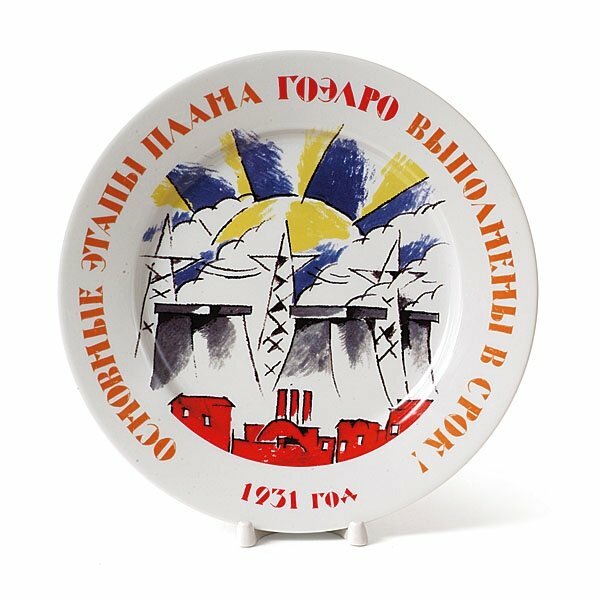 Inspired, he had a series of plates created to depict the history of electrical energy in Russia which he has donated to the Museum. 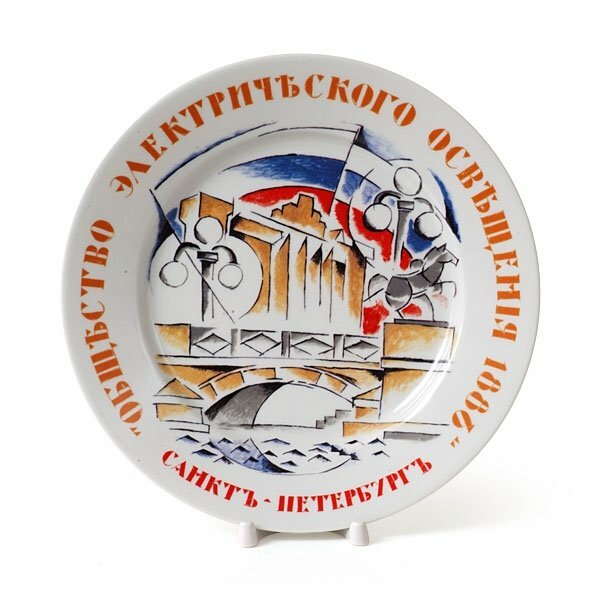 It's a great series, providing the perfect homage to the style and tone of propagandist work of that period in Russia, and proof that there's way more than mummies and the Rosetta stone to be found in the British Museum. I hadn't seen so many stolen goods on display since my last visit to a pawn shop in Dublin 8, but a visit to the British Museum is a great way to spend an afternoon nonetheless. What will you find when you're there?